Award winning artist Alexandra Gallagher is a British multidisciplinary artist based in Blackburn, whose work takes the form of collage, street art, prints, photography and painting. Alexandra’s work celebrates the surreal and sublime. ­Between the realms of memory, dreams and experience, her work looks beyond our subjective limits and often tells a story of inner imagination and thought. Often working within a series, each piece is visceral and organic, the artist never knowing how each piece will transform. Framed fine art giclée print. 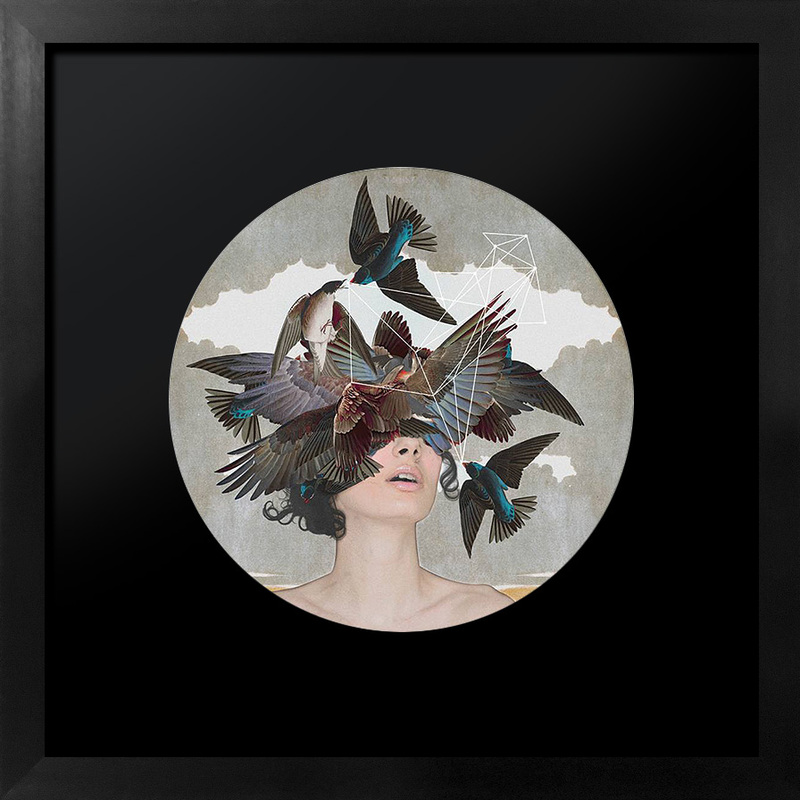 Framed fine art giclée print with diamond dust.